Twice each year, for the past seven years, I have made the 20-hour trip by boat to Cocos Island, 350 miles from the Costa Rican mainland. This journey is well-worth the effort – Jacques Cousteau described Cocos Island as the most beautiful island in the world, and I would have to agree. At this remote location, my organization, Turtle Island Restoration Network, and our partners have established an active citizen science project through which divers and scientists work together to study one of the most biologically-rich ocean ecosystems left on the planet. I’m heading back to Cocos in April, and for the first time, people with no diving background will have the chance to join me – to tag and monitor sea turtles and even take a journey in the DeepSee Submersible to see some of the deepest reefs on earth. The deep reefs are just one of Cocos Island’s wonders. A shallow fringing reef encircles the island’s bays and then the seafloor drops sharply. The unique confluence of ocean countercurrents, wind currents, and underwater mountains combines to create an ecosystem that supports one of the most amazing displays of marine life on the planet. 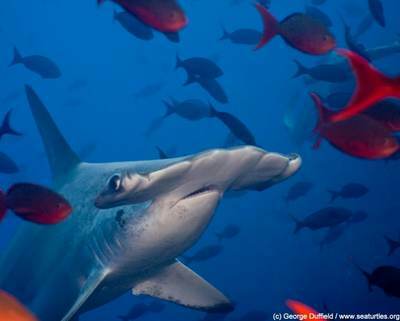 Hundreds of scalloped hammerhead sharks spend their days being “cleaned” by the butterfly and angelfish that pick parasites from around their gills. Also regularly seen are whitetip reef sharks resting on the sand or hunting in packs in the shallow coral reefs at night. Cocos’ abundant marine wildlife has made the region a magnet for scientists and scuba enthusiasts, who often rank the waters as one of the top ten diving spots on the planet. Yet despite its designation as a Costa Rican National Park and a UNESCO World Heritage site, the waters of Cocos Island face overfishing, plastic pollution that washes in from far away places, ocean acidification that is harming reef communities, and climate change that could unravel the unique mix of currents that make the place such a rich and diverse ecosystem. To help monitor what’s happening in the reserve, Turtle Island enlists the scuba-diving community as citizen-scientist assistants to catch, tag and monitor turtles, tag sharks, take photographs, and record data, helping to ensure that the place will remain worthy of Cousteau-like praise for generations to come. We are currently seeking divers – and non-divers – to become volunteer research assistants on the upcoming April and November Cocos expeditions. 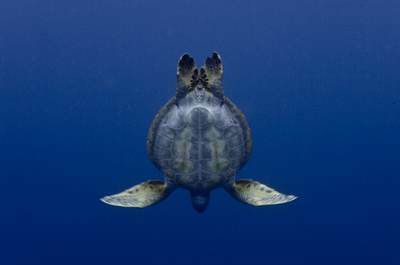 To learn more, visit: www.seaturtles.org/expeditions. Spaces are filling fast, so please contact us today to learn more. 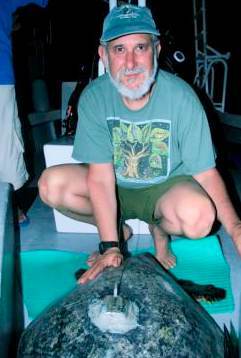 Todd Steiner is a biologist and lifelong advocate for marine wildlife and ocean ecosystems. He founded nonprofit Turtle Island Restoration Network (TIRN) and its three primary initiatives — the Sea Turtle Restoration Project, the Salmon Protection and Watershed Network, and the Got Mercury Campaign. 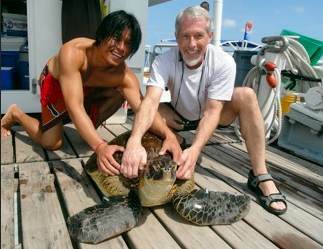 TIRN’s oldest initiative, the Sea Turtle Restoration Project, began as Todd’s brainchild at Earth Island Institute in 1989. Previously, Steiner was director of the Tuna Dolphin project, which brought to public view for the first time the tuna industry’s impact on dolphins and other marine species. He has more than 30 years experience in environmental protection and education. He holds an MS in Biology and lives in Forest Knolls, California. The Cocos is on the bucket list of almost all serious divers around the world! It would be wise to get there as soon as possible before all of this stuff we are doing to our earth and ocean ruins it forever! We have just announced our first 2014 Cocos expedition date: May 26 – June 5, 2014. I guess he summed it up perfectly! Keep up the good work! But I really feel screwed… I’ve been going o Cocos since 1988. But if you are somehow doing the 380 nautical mile transit in 20 hours, I need the name of the vessel you’re using. For most of us it’s at least a 36-38 hour ride in sometimes nasty sea conditions. Or did you do it on a jet ski? No we don’t have super-fast ship… 20 hours is a typo– it’s closer to a 36 hours voyage to Cocos.